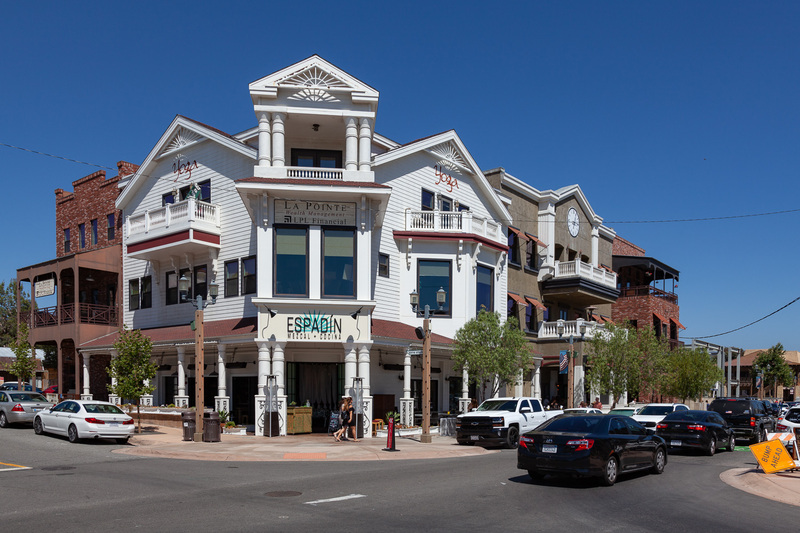 If you’re up for a little day trip, take the hour and fifteen minute drive from downtown San Diego to Old Town Temecula to check out its shops, restaurants, tasting rooms, and historic architecture. 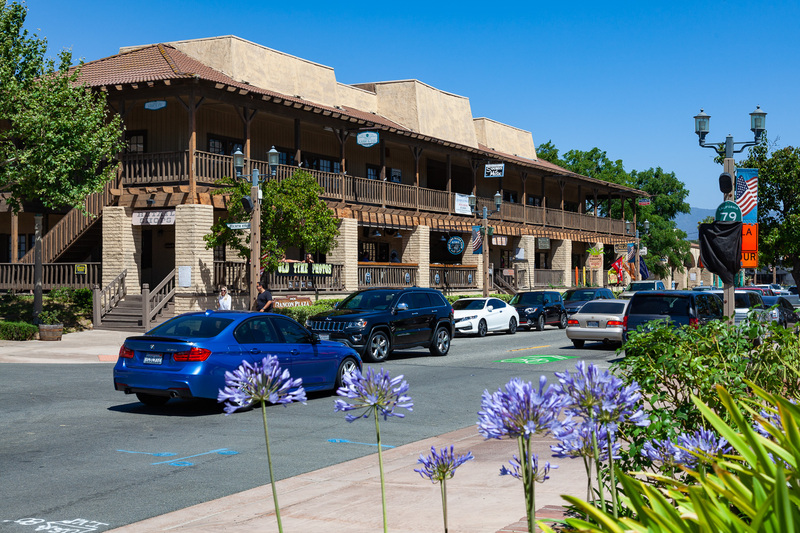 The heart of Old Town runs for a half mile stretch along Front Street, which means that you can park your car once and pretty much everything is within walking distance. 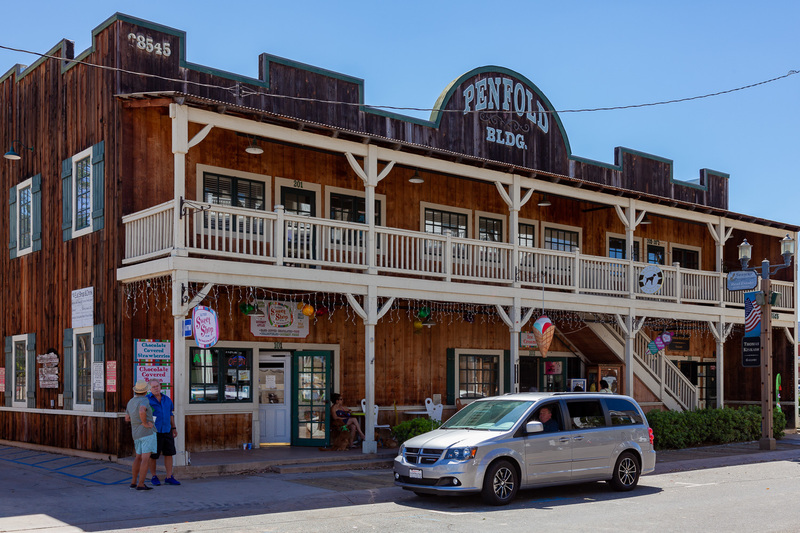 You’ll find a number of shops along Front Street that sell everything from jerky to fresh produce to antiques to boutiques to good ol’ tourist kitsch. 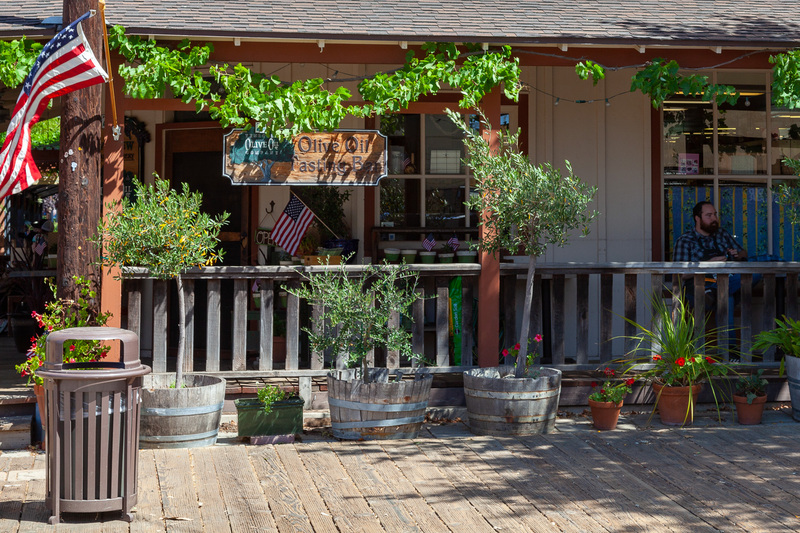 One of the interesting things you’ll find in Old Town are a few olive oil tasting rooms such as the one at Villa Di Colabro. They make flavor-infused olive oils such as Meyer lemon, rosemary, or scallion, and pair it with some interesting and tasty different flavored balsamic vinegars. 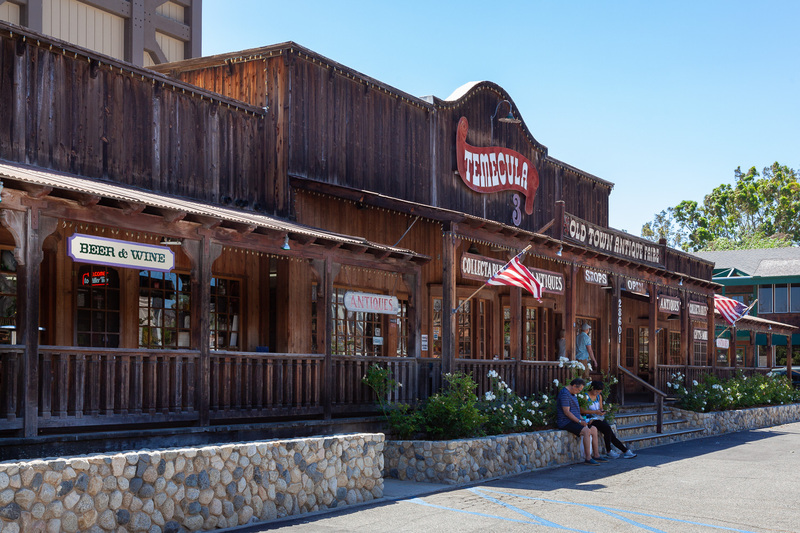 Because Temecula Valley is known for its vineyards (the closest are about 20 minutes’ drive from Old Town), there are a number of wine tasting opportunities in town. 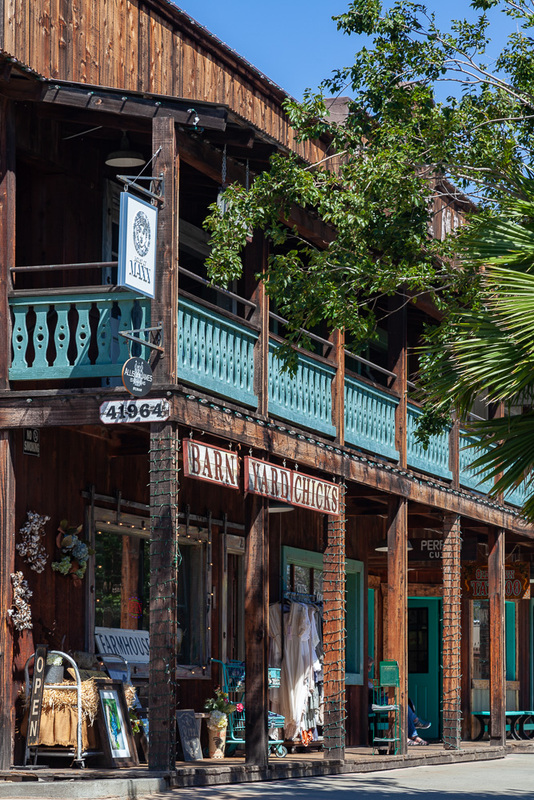 You can sample the local products in small tasting rooms or restaurants. 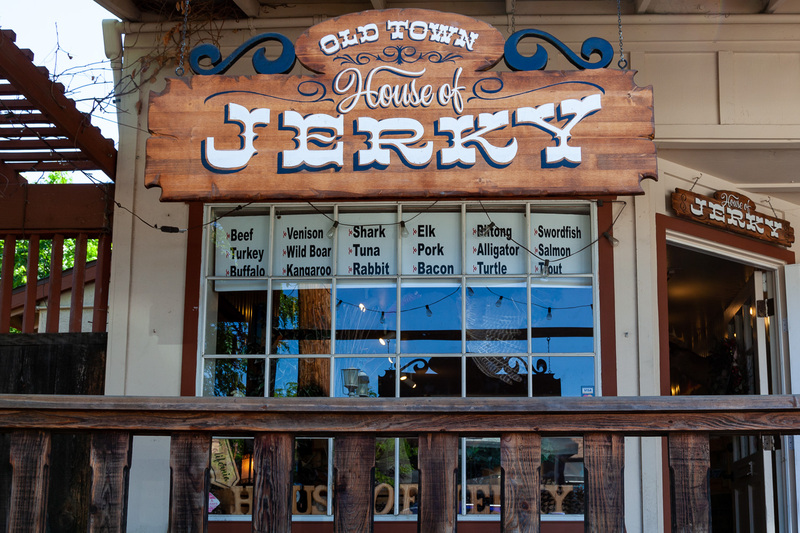 Speaking of restaurants, there certainly isn’t a paucity of places to dine in Old Town. 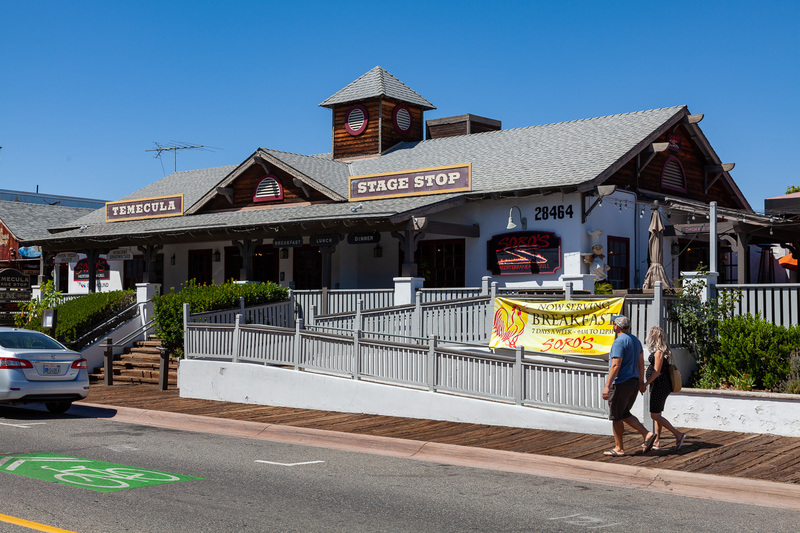 There’s everything from sushi to American pub food to Cuban or Mediterranean or Mexican to contemporary California cuisine. 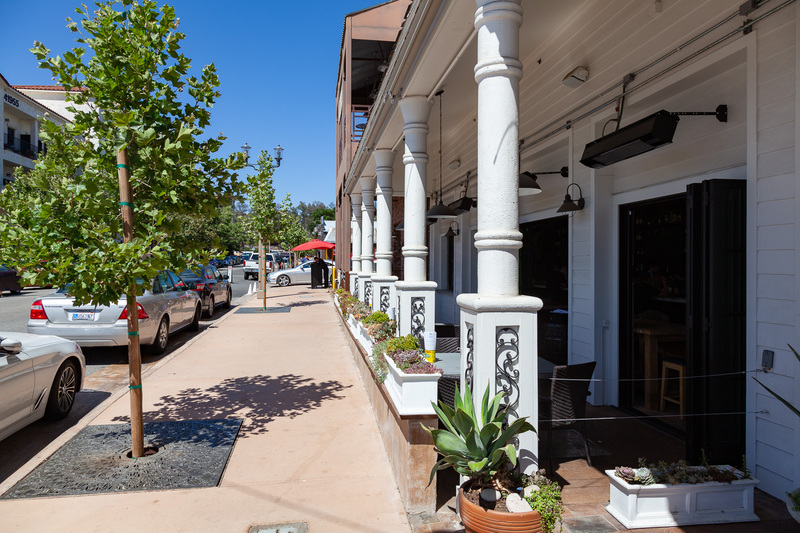 Most restaurants offer outdoor seating for an al fresco dining experience. 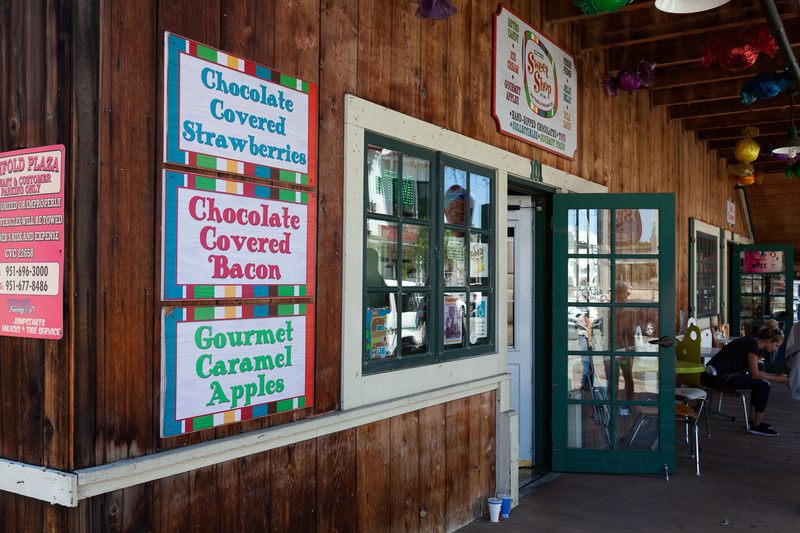 Several ice cream shops could offer the perfect end to a meal if you choose to skip dessert at your restaurant. 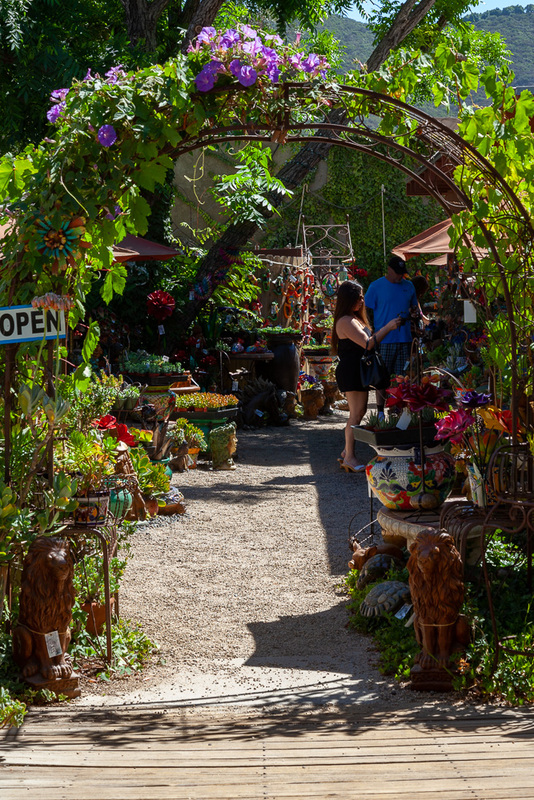 If you want to spend a solid afternoon enjoying shops, tasting rooms, and restaurants, explore Old Town Temecula. 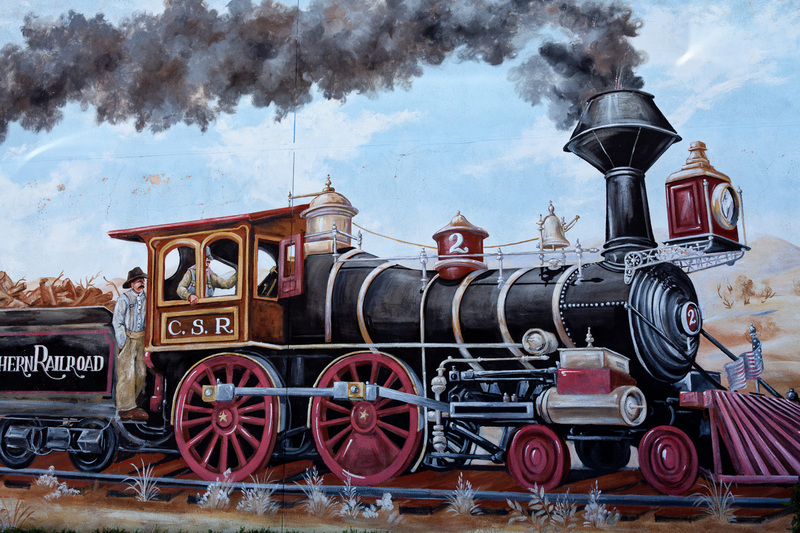 Location: Old Town Front Street between Rancho California Road on the north and 1st Street on the south. 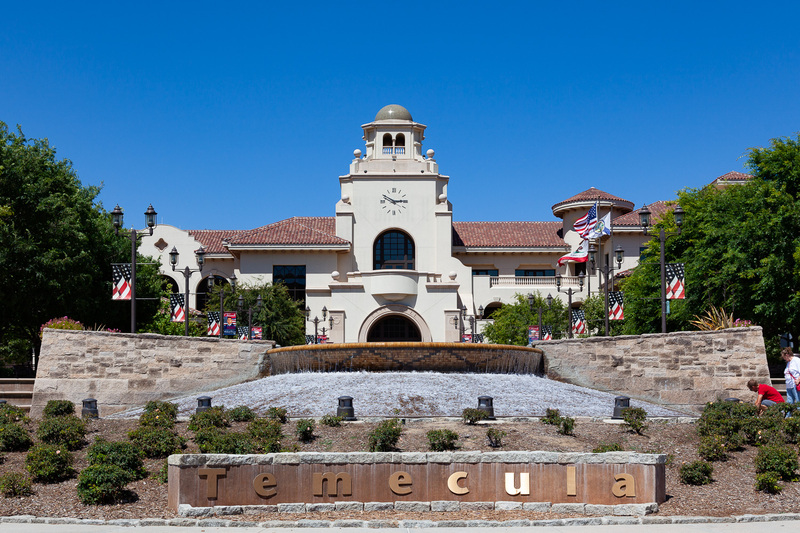 Tips: Old Town Temecula is quite popular, especially on the weekends, so parking can be an issue. There are a few city parking lots available, and street parking is free. Wear comfortable, flat shoes, as the sidewalks are made of worn wooden planks with uneven surfaces. 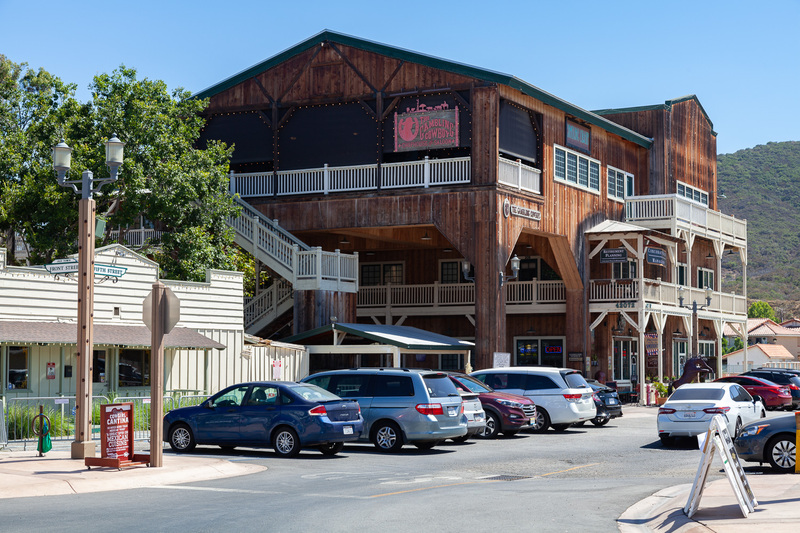 There are public restrooms next to the parking lot on 6th Street between Front St. and Mercedes St.